﻿This lecture provides an introduction to the topic of lead poisoning and its’ prevention. 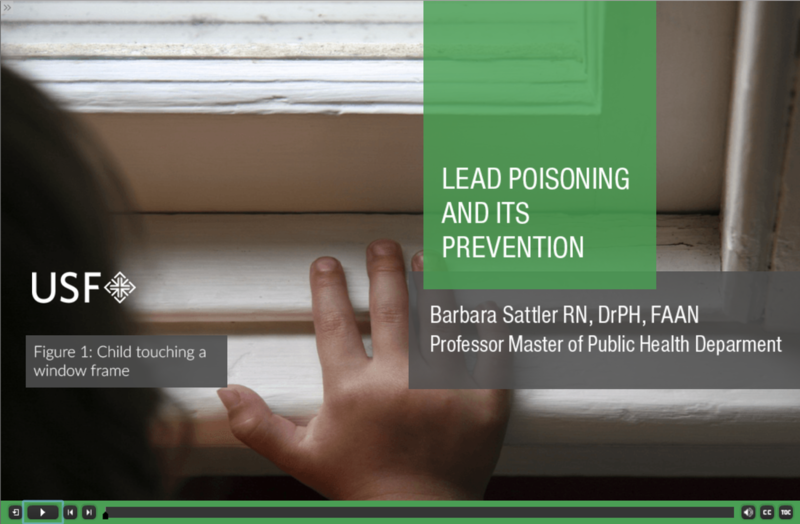 The lecture will introduce users to what lead is, and provide information on where lead is commonly found, as well as common routes of exposure and populations at risk of lead poisoning. It will also describe the toxicokinetics of lead in the body, major physiologic effects of lead, and describe lead-poisoning prevention strategies. This lecture provides instruction on utilizing National Library of Medicine resources for finding information on lead and lead poisoning. 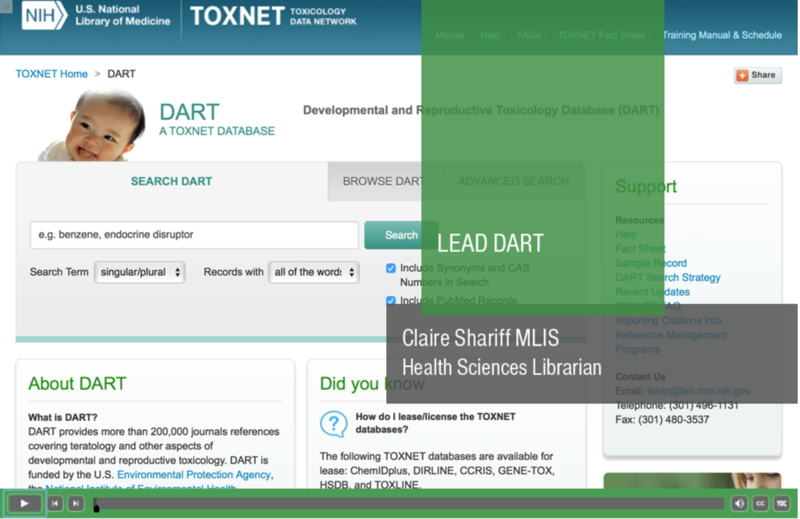 Specific resources discussed include the Household Products Database, Tox Town & MedlinePlus, and the Developmental and Reproductive Toxicology database (DART). Nurses can utilize this information for creating evidence-based recommendations on health monitoring, advocacy efforts, further areas of research, and more. From the National Library of Medicine. A comprehensive resource guide on lead and human health. Includes links to overviews, resources on special populations, data & statistics, and Información en Español. This site provides a great many sources of health information, practical guidance documents, and policy/regulatory information. From the Centers for Disease Control. Comprehensive lead and lead poisoning information, including prevention plans, blood lead level information, data & statistics, policy resources, and more. From the National Library of Medicine. A resource guide on lead in the Flint, MI water system. This page on the WHO website provides a host of resources for addressing lead poisoning prevention. There are factsheets and suggestions for national policies. 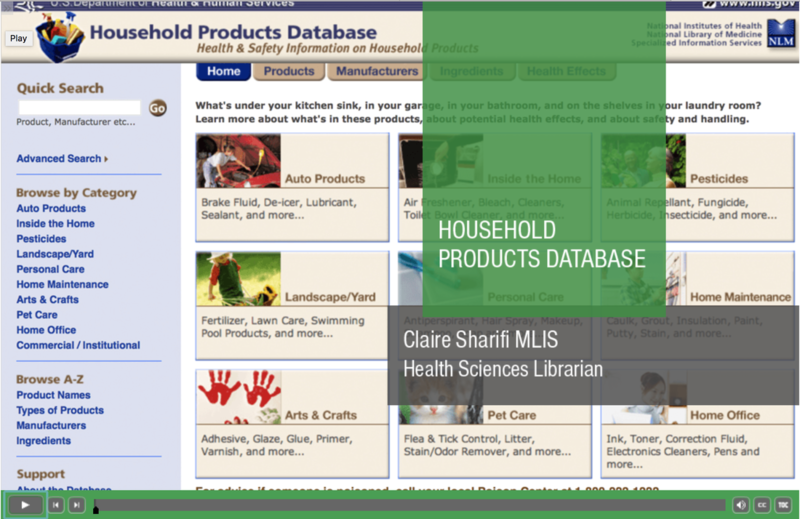 Use what you learned in the Household Products screencast to look up one of your favorite personal care products or household cleaning products. What did you find? 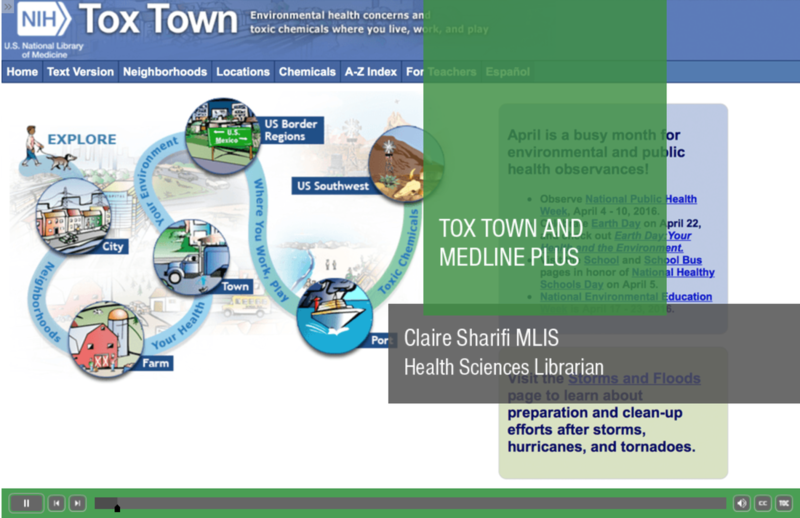 Or take a look at a neighborhood in Tox Town that is relevant to you- what environmental concerns are common where you live or work? Click "Start a topic" to join the conversation.